We started emailing the SomeTimes Newsletter a few months after DAD's introduction in October '08 -- perhaps you missed it. 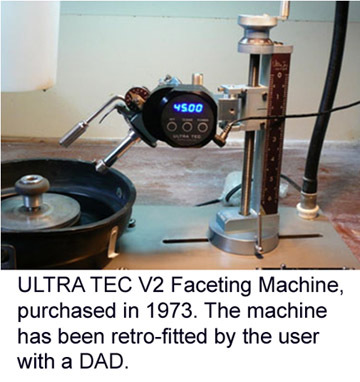 Or -- perhaps you are someone who purchased a used Ultra Tec since then, and don't know about DAD, and how it could improve your faceting set-up! The DAD mounts as a replacement for the Analog Angle Dial that was standard on all machines prior to October 2008. 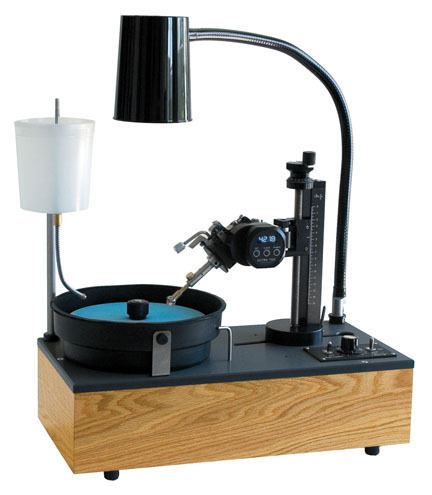 It allows easy setting of an angle to true 0.01 degree accuracy and repeatability. And most importantly, it is COMFORTABLE, ERROR FREE, and FAST-It leaves behind the feeling of uncertainty that can accompany the setting of a vernier position. It eliminates the time spent in double-checking the angle. The DAD Replacement Kit includes instructions and a calibration block for the initial setup. Calibrate once, when you install it -- DAD stores the initial calibration permanently. 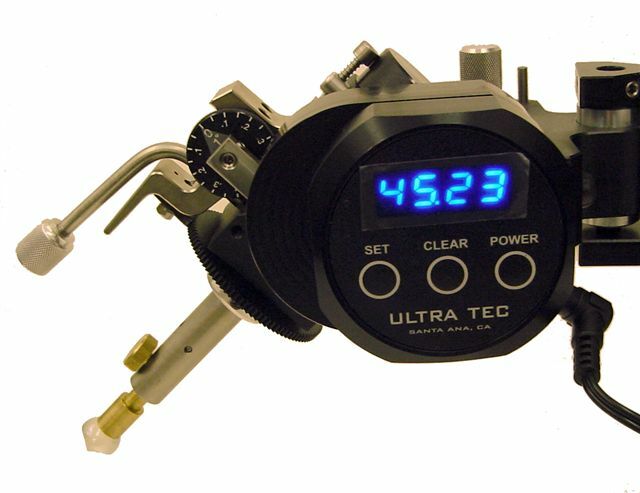 Using advanced encoder technology, it reads out through the entire cutting sequence, and it has an optionally- on buzzer for the end point. A year of testing -and now over 6 months of many DAD's "out there" has proven DAD's reliability. The DAD will fit any Ultra Tec. Here's another picture worth ten-thousand words. This picture (on the left) shows the DAD mounted on an Ultra Tec that is 36 years old. That sort of tells the whole story.